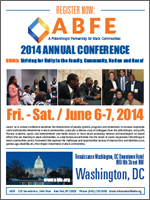 Each year, ABFE hosts an annual conference, convening more than 300 members, stakeholders and partners to advance a collective agenda of increasing public and private investments in Black communities. 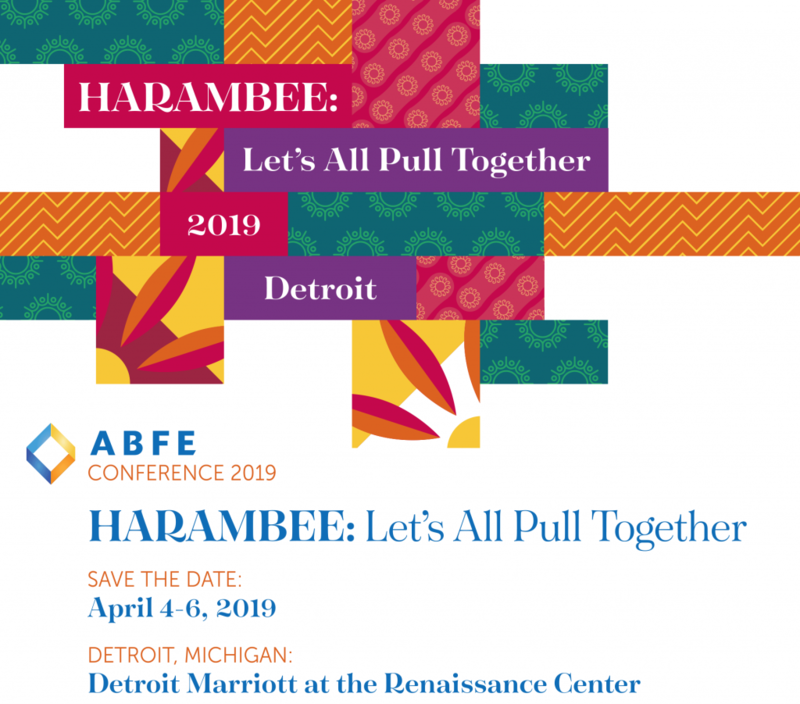 We offer attendees a set of informational and professional development workshops, and members of ABFE have come to look forward to this time of networking, engagement around shared interests in supporting Black communities, and recognition of our colleagues in the field. The James A. Joseph Lecture on Philanthropy is a tribute to Ambassador James A. Joseph, ABFE co-founder and distinguished leader in the field of philanthropy. The Lecture recognizes an outstanding individual whose leadership and contributions as a visionary philanthropic leader have helped advance progressive philanthropic ideals, strengthen grantmaking institutions and build vital Black communities. 2006 – Willis K. Bright, Jr.
2004 – Lynn Huntley, Esq. 2003 – Handy Lindsey, Jr.
ABFE Philanthropic Emerging Leadership Award was established in 2002 to recognize and encourage the accomplishments and contributions of people in the early-to-mid 40 year old range, and who have served as staff, donors and trustees in the philanthropic sector for no more than 7 years. This award recognizes an outstanding individual whose innovative leadership promotes philanthropy as a means of social change in Black communities and advances ABFE’s mission. 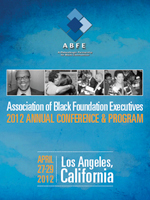 The ABFE Emerging Leader in Philanthropy Award is presented during the ABFE James Joseph A. Lecture in Philanthropy held each year at ABFE’s Annual Conference. 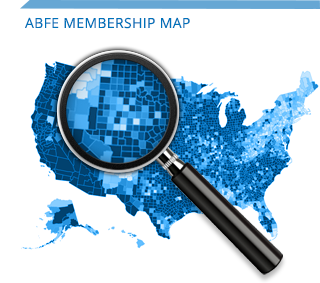 The ABFE Institutional Award for Philanthropic Leadership was established in 2002 to recognize significant efforts and contributions of grantmaking organizations to promoting philanthropy as a means for social change in Black communities. This award recognizes an exemplary grantmaking institution that models effective and responsive grantmaking practices. 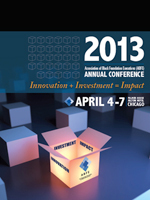 The ABFE Institutional Award for Philanthropic Leadership is presented during the ABFE James Joseph Lecture in Philanthropy held each year at ABFE’s Annual Conference.